"Chess is 99 per cent tactics" is an old saying. This may be an exaggeration, but even the remaining 1 per cent still depends on tactics. When Martin Weteschnik started working as a trainer in his local chess club, he quickly realized that even the stronger club players had great weaknesses in their tactical play. He also discovered that simply asking them to solve a huge number of puzzles did not fix the problem. These players clearly needed a good book, but when Weteschnik looked for it he found nothing suitable, so he decided to write it himself. But Weteschnik was not completely satisfied with the book and decided to restructure and rewrite it completely. 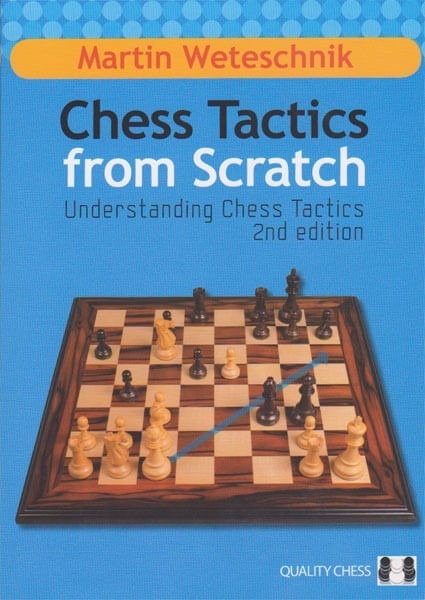 The first edition of this book, Understanding Chess Tactics, was hailed as a modern classic. This expanded and improved second edition offers more puzzles to test the tactical chess skill that Weteschnik helps the reader develop.